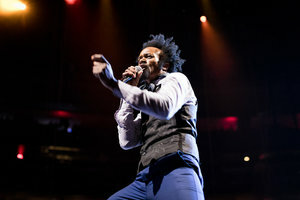 Calling Fantastic Negrito genre-busting may be a bit of an exaggeration, but like Gary Clark Jr and Rag’n’Bone Man he’s one of those artists who’s doing something new by melding elements of old-fashioned blues to beats and rap stylings. More accurately maybe, bearing in mind his overt interest in politics and social commentary, would be to say he’s following in the tradition of Gil Scott-Heron, who described himself as a “scientist who is concerned with the origin of the blues”. Either way, it’s got Negrito some attention, garnering a Best Contemporary Blues Album Grammy for his 2016 album Last Days Of Oakland. familiar ingredients to both Oakland and his earlier Fantastic Negrito Deluxe EP. 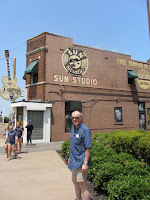 He growls out a verse with its melodic roots in the cotton fields over a metronomic beat and throbbing bass, until it collides with a modern-day soul chorus and sprinklings of Prince-like falsetto, and restrained guitar work. ‘A Cold November Street’ and ‘The Suit That Won’t Come Off’ have even more rootsy foundations. With understated organ accompaniment, the former develops a steady, ominous vibe from a low, work song foundation, with hints of the spooky old folk song ‘In The Pines’, which Negrito has covered previously, and adds a brief eruption of drums and guitar. The latter builds on a halting beat and a background field moan, and Negrito adds a pinging guitar break to its meditations on skin colour resulting in “standing on the outside”. Negrito takes a resilient, hopeful stance though, as on ‘A Letter To Fear’, where a slow, nagging groove underpins the sweetly sung declaration that “Whatever you do to me, I will carry on” in response to imagery of mass shootings at the hands of semi-automatic weapons. He can do dreamy too, as on the low key ‘Dark Windows’ with its almost Beatle-ish melody, flickers of cello, and restrained guitar fills. ‘Never Give Up’ is simpler still, a one minute interlude on which smooth harmonies celebrate “Walking in sunshine, walking through the city” over the rapped-out title. Fantastic Negrito – aka Xavier Dphrepaulezz – has come a long way from the hospital bed cover photograph of Please Don’t Be Dead, picturing him after the car crash in 2000 that nearly killed him. My guess is that, with his Don King-like electro-shock hair and strident social commentary, he can shake this stuff up and deliver on stage too. But you don’t have to rely on my guesswork – he has a handful of British dates coming up. Check him out if you can. Please Don’t Be Dead is released by Cooking Vinyl on 15 June.